Alicia from Mexico contacted me with some questions about her upcoming trip to Greece with her mom. My mom is my favorite travel companion (don’t tell my husband!) so I wanted to give her really thorough advice so that they could totally enjoy their time together and not worry about the small details. My mom and I are flying to Greece in June 2017. First we’ll be flying to Santorini and Mykonos for a week, then off to Egypt for 10 days and then back to Athens for 6 days. We booked an Airbnb near the Parthenon. We are extremely excited about this trip and I was wondering if you could give us recommendations for the days in Athens. We are Mexicans and we have both already been to Athens. Mom 24 years ago and myself last year. Still we want to do all the touristy stuff. I am 22 years old and my mom is 53. We love food, shopping and culture. We also want to go to Meteora for a day. Please give us restaurant and activity recommendations. We think dinner in the sky and tea at the Grand Bretagne sound nice but maybe you can tell me more about them. Any spa suggestions? Thank you very much for your attention. After I got over feeling envious about this trip, I got down to business answering her questions and collecting links to send her. I have done this with friends and it was a jolly good time. Depending on the day, you may need reservations- so best to check with them. Read about my pal Marissa’s High Tea Experience. I have been to Meteora, but we drove there, so I haven’t had the train experience. Trains are not as popular in Greece as the rest of Europe, so some people are ‘let down’ with the amenities and level of comfort when they get on board. I would suggest looking into a tour that provides a transfer from the train station once you arrive. Meteora Thrones comes highly recommended from my Travel Bloggers Greece friends. Acropolis, Acropolis Museum, Panathenaic Stadium, National Gardens, Plaka, Monastiraki I’m guessing you did all of that before… perhaps you haven’t been up Mount Lycabettus? Check out the services offered at Polis Hammam in Psirri. It would be a really fun thing to do with your mom because you can do the whole hammam experience together and get side by side massages. Contact Greece2Taste while you are in Athens and see if they have any market tours going on or even participate in the cooking class they offer. Take the tram all along the Coast to Glyfada and stroll along the shopping street and have lunch. In the afternoon take a taxi out to Vouliagmenis Lake, a freshwater lake (mineral spa), located next to the sea (about a 10 euro taxi ride). Ask at the Lake for the KTEL bus stop and be out there by 5:30pm to catch the big orange bus to Sounio and Poseidon’s Temple for sunset. You can take the KTEL bus back and get off in the center. Alicia and I corresponded back and forth and I was happy to answer some additional questions that she had. We were thinking of going to the beach for a day to get to know the Athen’s coast, so please give recommendations. Bolivar and Akanthus are both an easy trip from the center by tram. They are nice, full amenity beaches with music, food and drinks. It all depends on how far you want to travel… the further out, the more naturally stunning the beaches get. Also if you have some must-eat restaurants or street food or something similar please let me know because we love food in every form. Stroll along Aiolou St off of Ermou (commercialized shopping/pedestrian street) for fun and innovative street food type treats and hipster cafes. See Day 3 & 4 of this article for my favorite places to eat in the center. GYROS!!! Honestly, if you try not to eat near souvenir shops, you’ll be golden. If you stop to look at a menu and you can see a t-shirt shop, keep moving along. Also if there is a long strip of tavernas, all with guys outside trying to get you inside, you are definitely in tourist-ville. Not saying that these places are bad, they are just very similar and have the same menu you will find everywhere in Greece. While you are in Athens, you can enjoy a bit more variety. At a place like Manas Kouzina Kouzina, you will find traditional food prepared exceptionally well in a modern atmosphere. Where can we buy nice clothes by greek designers, not too expensive, because we like to buy original things that are hard to find in Mexico. 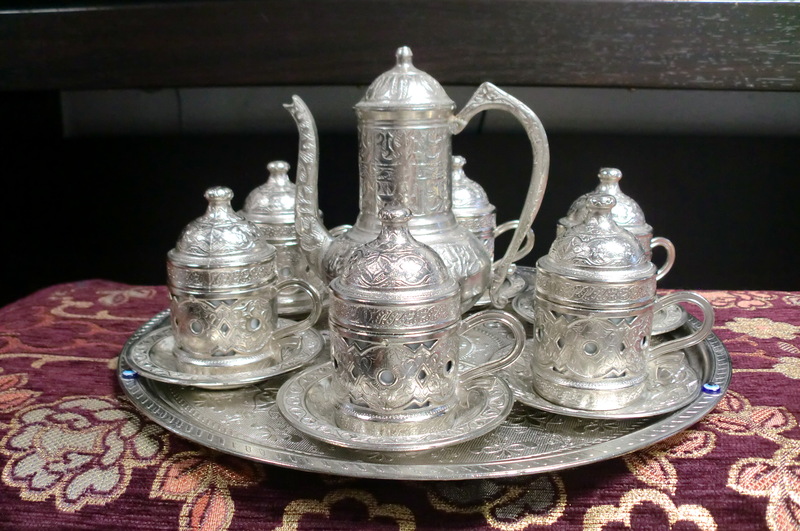 Also my mom wants to buy a traditional coffee set, where can we find that? In Monastiraki/Plaka you will definitely find a coffee set like you are looking for. Plaka also has some Greek designer shops, where Monastiraki is more geared toward tourists. If upscale shopping is more of what you looking for – Kolonaki is where you want to go in the center. Glyfada is also a famous spot for boutique, designer shopping. What’s your favorite place to have breakfast in Athens? When Alicia asked me this question, I had just started the facebook group Ask a Local : Athens Coast Q & A so she asked the question there and got some advice from other members. You’ll just have to join the group to find out the answer!